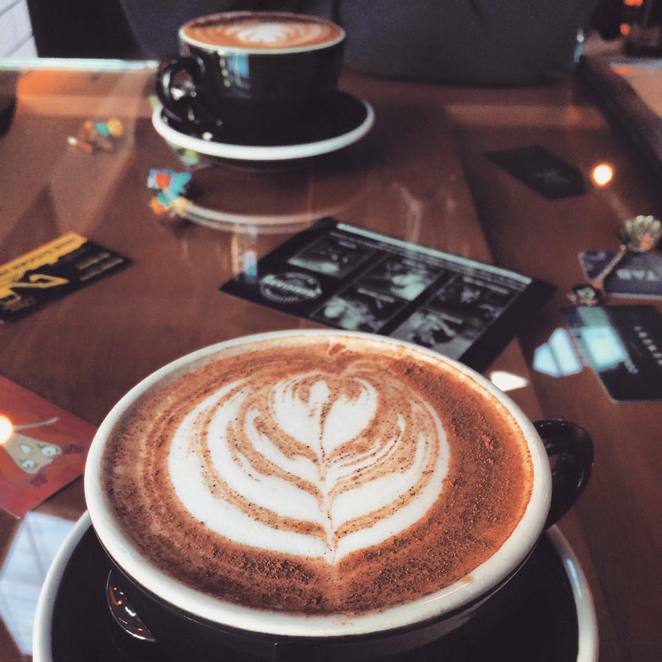 Where Will You Find The Best Coffee in Christchurch? My first time in Christchurch was quite an experience. One venue that I was sure I had to make a quick visit to was Black Betty Cafe. I was warned there would be lines around the corner and down the street, along with a hefty wait time. Alas, when you have a holiday on a Monday (whilst everyone else is at work) you can easily find a table at this must-visit cafe. Now, don't get me wrong, this venue was still pumping for a Monday at 11:30am, it appeared also that we may had just missed the lunch time rush which started to build up at midday. Any-who, Black Betty is a modern Christchurch institution. Having opened its doors in 2011 (after the tragic earthquake that shook the city) this young business was the brainchild of Hamish Evans, a self confessed espresso lover who travelled overseas to the espresso-hot-spots of the world to embrace the vibrant cafe culture of Italy and the coffee farms of India. 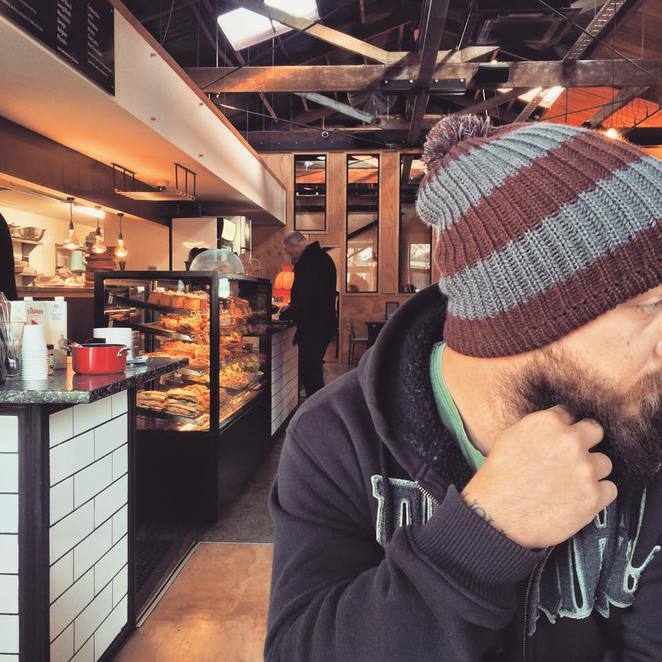 After he was done and dusted with his overseas escapades, he decided to return to New Zealand and opened up SWITCH Espresso (in New Brighton) a boutique coffee company that roasts and blends premium espresso beans. SWITCH Espresso has won awards for their quality coffe, including a GOLD medal at the reputable New Zealand Coffee Roasters Competition. As Hamish's interests grew further he became more interested in different production methods of coffee and alas he opened Black Betty a place where people can go to experience newer methods such as Pour-over, Aeropress and Cold-drip coffee to name a few. Black Betty is a cafe that allows customers to experience these new production methods of coffee or engage in their staple coffee choices. Black Betty looks to be located in a little industrial one-way street off the rebuilt (ongoing rebuild) Christchurch. Located in Madras street the sign, and I assume the usually long line, is the trigger to visitors to know that they have found their destination. Walking into the cafe is a nice experience. The high ceilings of the converted warehouse give the venue a spacious feel. The tables are hollowed out wood that are filled with 90's and random pieces. 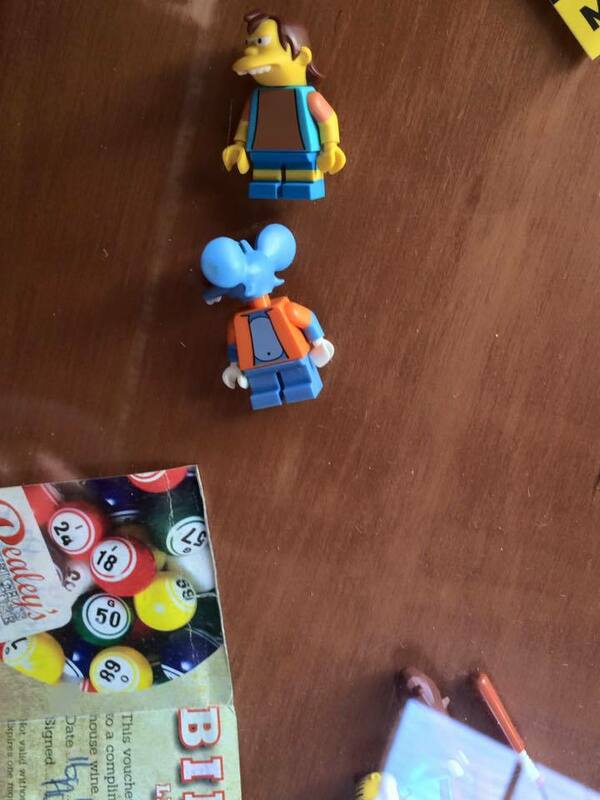 Ours had Lego figures of Nelson, Itchy and Bart from The Simpsons. The chairs are an eclectic mix of wood and leather to ad with the tilled and wooden walls. The finishing touches are of course the rustic coffee bean bags against the wall, and the black-tee wearing staff. All in all a good little set up with a glorious open-plan kitchen directly behind the infamous coffee machines. 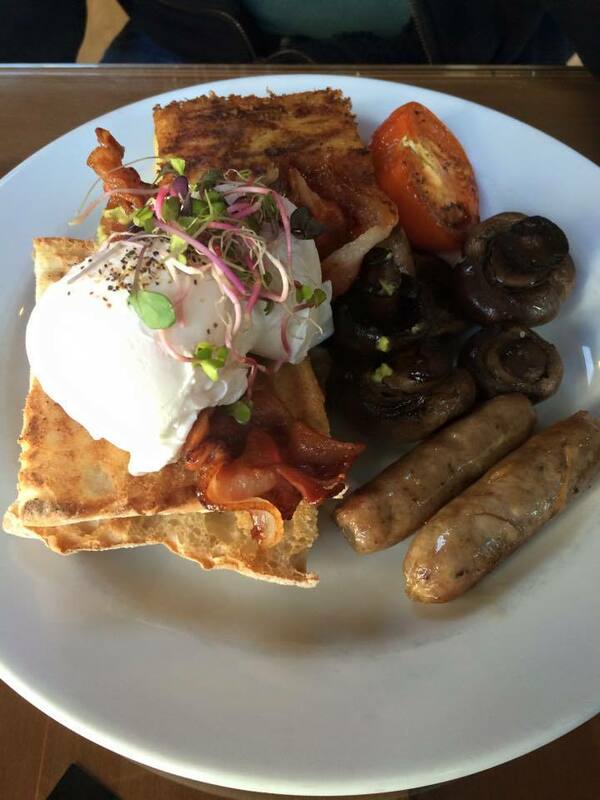 The breakfast menu at Black Betty is a gem. It is without a doubt the calling card for all Kiwis and tourists alike. Not only does the venue specialise in beautify roasted coffee, but they also produce a full breakfast menu to compliment your morning cuppa all available till 2:30pm every day of the week (now that is a score!). I scanned the menu with my partner. He opted for the Big Breakfast - two free range eggs, streaky bacon, sausages, roasted herb tomatoes and field mushrooms served with toast and the Potato Layer Cakeon the side, whilst I (being the avocado lover that I am) went for the Avocado Smash - with streaky bacon and a soft poached egg on wholegrain toast.. Accompanied by these delicious menu options was a cappuccino and chai latte. As we waited for our meals to come we got lost in the inside decor, and the overall atmosphere of the venue. We waited for roughly 10 minutes for our beverages to come out first, followed 5 minutes later by our breakfast. Happy with our selection we devoured everything in sight and were pleasantly surprised with the effort that had been made on presentation of the dishes to our table. The eggs tasted fresh, I am assuming the are organic and free-range whilst our bread was toasted to perfection with delicious seeds. overall one of my favourite breakfasts from the entire time I was in Christchurch. I 100% recommend going to Black Betty, if not for the breakfast or brunch options, then definitely the delicious coffee. Next time we head there we will opt for the cold-drip coffee and see how that goes down. I am sure it will be a treat. 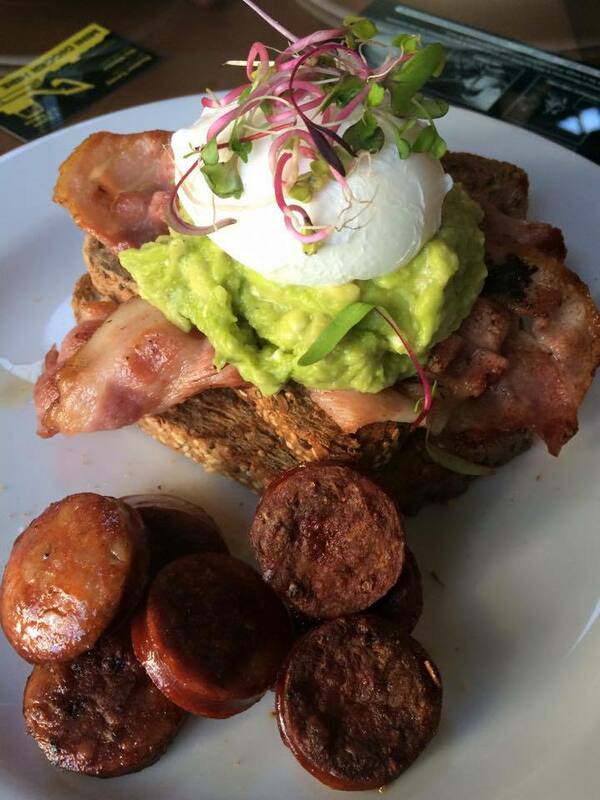 The avocado smash looks tasty, although I'm not so keen on the exposed ceiling.